Former World No. 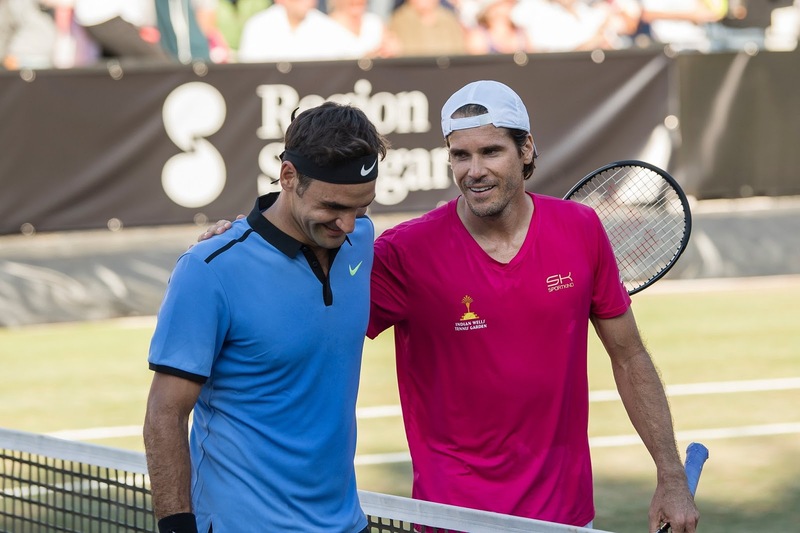 2 Tommy Haas successfully dialed back the years on Wednesday, saving a match point to shock Roger Federer 2-6, 7-6 (8), 6-4 at the Mercedes Cup in Stuttgart. The loss is only Federer's second of the season, and the Swiss star held match points during both of them. The 35 year old had three match points against World No. 116 Evgeny Donskoy during the second round of the Dubai Duty Free Tennis Championships in February. “I thought it was a typical grass-court match today. Rallies weren’t very long and it was decided on a serve there or a return here. If you don’t take your chances like I didn’t, leading a set and a break, you really only have yourself to blame at the end. You’ve got to acknowledge the fact that he was a bit better. It’s quite frustrating, but that’s the way it goes sometimes,” Federer said. “It wasn’t all bad, not at all. There were definitely some good moments, but I definitely was not as sharp as I was hoping to be in maybe the big moments, or the moment when I had the lead and where I feel I should have been cruising from that moment on. I definitely made some crucial mistakes and judgment errors. For the 39-year-old Haas, this must have been what he had envisioned when he decided to come back for one more season, following his ninth surgery in April 2016. 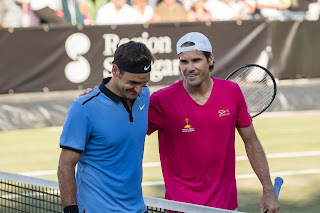 The two-time Halle champion, who last beat Federer in the 2012 Halle final, looked as comfortable as ever on the grass in Stuttgart, outplaying Federer in the final two sets to gain his biggest win in years. Haas hadn't reached a quarter-final since the 2014 Internazionali BNL d'Italia in Rome, and the right-hander had gotten off to a 5-8 start this season. But playing in front of his home German fans, He rallied to beat Federer, who fell to 19-2 on the season. “I’m a little bit speechless that I beat him today. 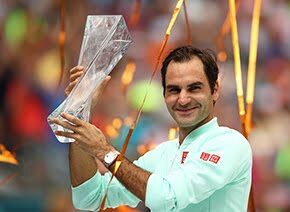 It’s been awhile since I have won back-to-back matches and to do it today against Roger is obviously one of my career highlights. It’s a very special feeling,” Haas said. 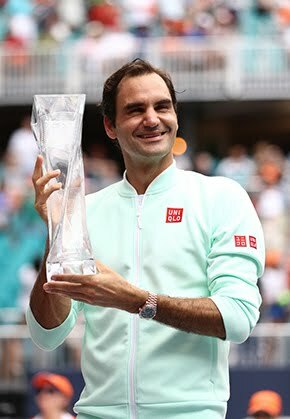 Federer, a 15-time grass-court titlist, hadn't played a tour-level match since 2 April, when he beat Rafael Nadal to win the Miami Open title, his third crown of the season after winning the Australian Open and the BNP Paribas Open in Indian Wells. The 35-year-old Swiss skipped the clay-court season to rest his body and avoid any potential injuries to his back and knees on the clay. But the top seed started strong in his Stuttgart opener. 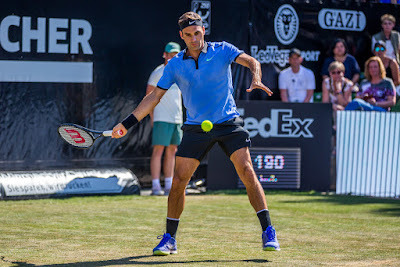 Federer deployed his entire array of shots - aces that kissed off the chalk, off-balance forehand winners and service returns that Haas could only watch. Federer, who finished with 23 aces, raced through the first after only 23 minutes. But Haas, a 15-time ATP World Tour titlist, was not to be swept off the court during what he has said will be his final stop in Stuttgart. The German raised his level in the second set, breaking for the first time to get back on serve at 2-2. At 7/8 in the tie-break, Haas had to deliver a second serve but fought off the match point when Federer lifted a backhand long. The 39-year-old German converted his fourth set point when Federer double faulted for the first time in the match. Haas commanded the third set, battling Federer and coming out on top in the tight moments. The German erased three break points while serving at 1-2 and broke Federer in the very next game to gain the upper hand. Haas would erase four more break points in the set before converting his second match point. He improves to 4-13 against Federer in their ATP Head to Head series. “Coming here and losing in the semis last year, now the opening round this year, it’s not what I was hoping to do. Especially on grass courts, close to home, in Germany, which has been a good hunting ground for me. It’s not good enough,” said Federer. 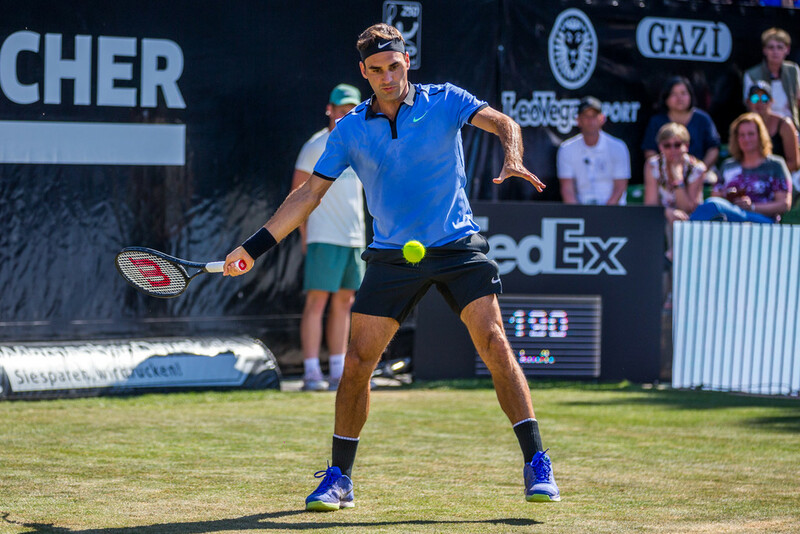 Federer next heads to Halle, where he will look to win his ninth title at the Gerry Weber Open.